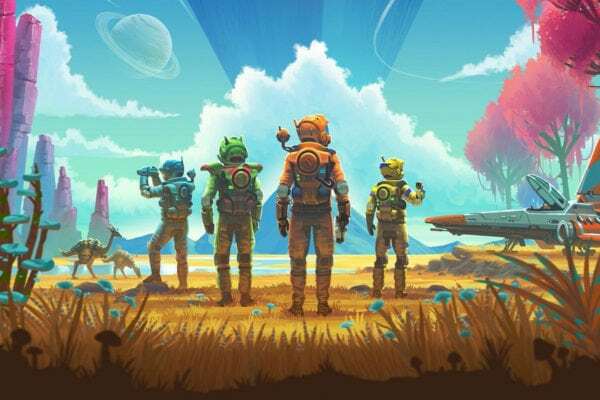 Hello Games have released a new trailer that reveals a first look at the multiplayer gameplay coming next week to their Sci-Fi exploration game No Man’s Sky. The massive new NEXT update will release on 24th July alongside the highly anticipated Xbox One version of the game (although us European Xbox owners will have to wait another 3 days). The NEXT update arrives next week and brings with it a huge amount of new content including the highly requested multiplayer mode. With the new multiplayer mode players can team up with small groups of friends and explore the universe together, race across alien landscapes in exocraft or even fight against others in space. No Man’s Sky NEXT update arrives on the 24th July. The Xbox One version of the game will arrive in North America on the same date and in Europe on the 27th.